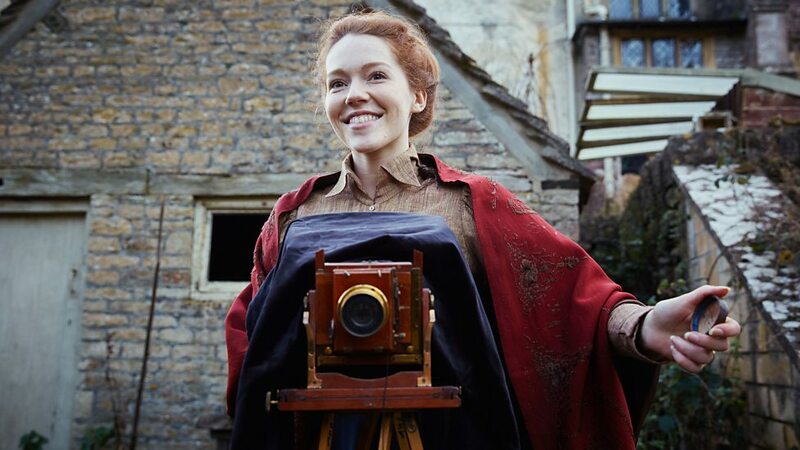 Last week, my first Victorianist post on the BBC’s series The Living and the Dead looked at the character of Charlotte, the pioneering photographer and new wife of Nathan Appleby. 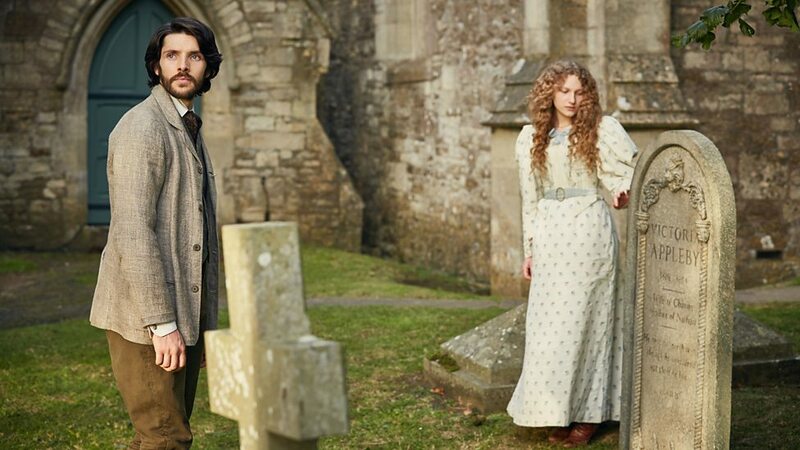 As an enterprising New Woman, Charlotte is initially resistant to the supernatural beliefs of rural nineteenth century Somerset. Through her technological knowledge, however, she becomes a channel for the dead haunting her new home. Nathan Appleby is a head-doctor who has returned to his family’s home in superstitious Shepzoy to help run the farm, after working in the country’s capital as an innovative and progressive psychologist. The wanderer returns; the alienated alienist is transplanted from the modernised world of the Victorian City into a rural space where shortly it is made clear that forces beyond the known are at work. ‘The city’ is a concept often linked with modernised psychology, and Nathan relocates from this scientific environment which is hurtling towards the publication of Sigmund Freud’s Interpretation of Dreams back into a rural space governed by the whims of the natural world and arcane folklore. Charlotte’s evolution from scientifically-minded trailblazer to spiritual conduit is echoed in Nathan’s experiences as a psychiatric expert. As Charlotte’s modern technology becomes corrupted by the presence of the metanatural, Nathan, whose strength (in line with enlightened modes of contemporary Freudian psychology) is his ability to empathise with others, begins to warp. The man whose chosen tool of profession is his mind slowly begins to lose his own grasp on reality, and starts to take his patients with him as he descends into madness. Although Charlotte is the ‘celestial telegrapher’, Nathan – who is the quickest and most open to the concept of the supernatural, being both emotionally and literally haunted by his son’s ghost – struggles to make contact with the great unknown. The metanatural world lays just beyond his reach, meaning that Nathan goes from a non-believer, focused on putting his scientific skills to good use in the community, to a true believer, instead using his psychiatric knowledge as an apparatus to commune with the departed. As Charlotte captures spirits in her salt-and-silver prints, Nathan, who works with, on, and in the minds of others, attempts to contact the dead through his patient Harriet, the daughter of the local churchman. It is interesting to note that the Shepzoy residents who are most greatly affected by ‘spirit activity’ (initially unknown to be either manifestations of psychiatric trauma or genuine hauntings) are often female. This connection between psychology, spiritualism and gender is interesting when presented within a Victorian setting, a factor which will be explored here through historical context. Nathan’s pioneering psychological work reflects the modernising of Victorian treatment of mental illness. In the final decades of the century, a group of doctors in Vienna were developing psychological ideas which ‘revolutionized the field of psychiatry and transformed Western thought about the human mind’ . Among these radical new approaches to psychiatric care was Franz Anton Mesmer’s theory of animal magnetism and mesmerism which led to ‘hysterical’ outbursts in his female patients, and Jean-Martin Charcot’s process of hypnotism was used to put hysterical female patients into a deep trance. It is worth noting that ‘hysteria’ and female maladies played a key role within this psychiatric revolution – notably in Freud’s case of Anna O. Nineteenth century doctors ‘regarded puberty as one of the most psychologically dangerous periods of the female life cycle’ (56), and deduced that teenage girls were particularly susceptible to mental breakdowns, thus drawing a connection between adolescent women and mental illnesses such as hysteria. This ‘emotional crisis’, Elaine Showalter suggests, may well be precipitated by ‘a girl’s growing awareness of [a] social dependence and constraint, the realization of her immobility and disadvantage as compared with her brothers’ . This notion of hysteria as a manifestation of young women’s anxiety about their role in a patriarchal system is reflected in speculations that ‘poltergeist activity’ often occurs in the same location as a teenage or prepubescent girl. Folklore dictates that adolescent girls can develop telekinetic powers and are susceptible to poltergeist hauntings or spirit possession, and have ‘subsequently been found to be the origin of much ‘psychokinetic activity’ due to physiological changes at puberty’ . As these ‘abilities’ coincide with the point in time in which young women historically entered a ‘different and more limited’  part of their lives, it is tempting to interpret this as either a conscious or unconscious revolt against the limitations imposed on women. Both Victorian notions of psychology and folkish tales of spirit possession or spiritualism are associated, therefore, with an increased awareness in adolescent women of their own repression as female. Fitting neatly within this intersection of adolescence psychological strife and spectral activity is 16-year old Harriet Jane Denning. The Living and the Dead introduces this character sewing a biblical verse onto a sampler (a staple of young Victorian girls’ education), so the audience instantly associates young Harriet with a metamorphosis of femininity as she pricks her finger. Sucking the blood, this Gothic trope implies the onset of menses and her transition into womanhood. Another horror staple, the pail of pig’s blood which Harriet is later forced to interact with in an attempt to unravel Shepzoy’s ghostly visitations, is indicative of Carrie, Stephen King’s tale of the metanatural abilities of a pubescent girl. Harriet’s position on the cusp of a new world is reflected in the programme’s indication that she reads ‘Ibsen, Zola, Darwin’, texts which grant her an awareness of a changing nineteenth century world’s evolving scientific and social discourses. ‘You let her read these books, most of which shouldn’t be allowed in a Christian household’, Harriet’s mother chastises her husband, implying a fear that Harriet might deviate from her role as dutiful daughter. This scientific knowledge is juxtaposed with the visual markers of Harriet’s youthful femininity, as she brushes her long blonde hair in a girlish room of dolls and teddy bears. Harriet represents the young Victorian woman who is acutely aware of the limitations her impending womanhood will place upon her – rife conditions for a ‘hysterical’ breakdown or a spirit possession. Child-like, Harriet checks for monsters in the closet and under the bed. As she sits down at her mirror, the rocking-horse is eerily set back and forth, an evil old man is heard to laugh, and an ominous figure steps behind her. After this experience, Harriet begins to act oddly. In one scene, she gently brings a duckling to her face, appreciating its softness against her cheek, before violently feeding it to the pigs. Before long, looking like a possessed Alice Liddell, she begins channelling a disembodied voice, a la the Enfield Poltergeist case. This is revealed in a scene in which Harriet looks at her reflection in the lake as the Appleby’s phonograph plays: ‘My name is Abel North […] the wenches, the young one – like fresh fruits waiting to be plucked […] you won’t bury me so what do you care’. The connection between murderer Abel North, whose preacher father refused to baptise him, and Harriet, who is drawn to the water of the lake, is made clear. Harriet emerges in the house, speaking in an alien voice – “no river for the likes of you”. This possession isn’t just limited to her ability to speak tongues. Harriet attacks the housekeeper Gwen, attempting to drown her under a tap – ‘and the baptized shall be saved’. Nathan is quick to fall into the role of psychologist, seeking a psychiatric explanation for Harriet’s condition. ‘There have been cases of ether double or triple consciousness within the same person’, he says to her parents – ‘you take Harriet out of this house now, you send her on a journey which could lead to the asylum’. ‘The spark has gone from her eyes’, complain her concerned parents. Most telling, Nathan diagnoses Harriet as ‘caught between childhood and womanhood’. Nathan takes Harriet into his office, a space which visually delineates him as the quintessential Victorian psychologist. Heavy wallpaper, multiple paintings, books and a phrenology head can be seen. Pathologising Harriet’s spirit possession, Nathan claims that her troubles are rooted in her own maturing psychology – ‘what you think of Abel North is a splinter of your own personality’. A concern surrounding the onset of Harriet’s adulthood, and the emergent sexuality associated with that time of life, is demonstrated in the programme. ‘I think she’s frightened of her own sexuality. She listened to the cylinders and created a male alter ego to justify her fears’, says Nathan, while in bed with his wife. ‘Gwen thinks she’s out to seduce you’, replies Charlotte. Sexuality tensions continue to define Harriet’s tumultuous experiences with her possessor – ‘Abel North is a symptom, not a cause’, states Nathan. ‘He’s a ghost, he’s a ghost and he’s inside me’, replies Harriet, who attempts to kiss Nathan while possessed. There is a telling scene in which Harriet and Nathan discuss the psychologist’s patients in London. ‘The old certainties are gone, suggests Nathan, ‘and people look for meaning elsewhere – in Spiritualism, and mediums, and mesmerism – the occult. Some of these people got damaged and became my patients’. ‘Do you believe in ghosts?’, asks Harriet. ‘I have seen people haunted, but only by an aspect of themselves’, replies Nathan. Spiritualism is not only connected with concepts of psychological damage here, but the ideas are directly linked in context with the rapidly changing nineteenth century world. This mirrors the changes going on within the young woman’s psyche, but within a specifically negative light which begins to alter as Harriet’s story develops. Despite the Victorian fascination with Spiritualism and séances and the contemporary development of cutting-edge psychologic theory, ideas of mental illness as the result of possession or spirit-channelling were the preserve of the fifteenth century. However, when contemporary cures fail – an attempt at hypnotism only serves to make Harriet’s possessor more apparent, as she spits in Nathan’s face – Nathan and Denning, Harriet’s father, return to the conventional. Nathan’s modern psychiatric technique has only served to convince him that Harriet is haunted, not mentally ill, and eventually Abel North, in the body of Harriet, is baptised in the lake. The ghostly face of the possessor disappears into the water as the rites are read. Although she is rid of her possession, and promptly returns to her demure femininity, Harriet is later used by Nathan as a conduit in his attempt to contact the dead. Abel North has been banished, but Harriet has also shown her ability to channel Victoria and Gabriel, Nathan’s departed mother and son. The mad-doctor, who is descending into madness, is not only trying to contact his son, but is driven to distraction by the mysterious female spirit haunting his home. He re-hypnotises Harriet in attempt to contact the woman, who warns him: ‘they’re coming for you’. As previously suggested, Harriet’s ability to channel the dead is seen as a negative side effect of her maturation into womanhood, but before long, her spiritual abilities become viewed as necessary and important. 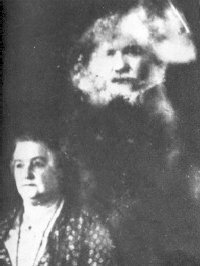 Whereas initially Harriet is seen to have been acted upon by the spirits – and indeed the men in her life – this scene marks a transition to Harriet as consenting, to be an active participant in raising these same spirits. She is asked by Nathan to take part, and makes the decision to do so herself. Not only does her manifestation of Abel North enable the restless spirit of the woman-hating murderer to be finally banished, but her spirit-channelling abilities allow her to help Nathan try and piece together Shepzoy’s central mystery. 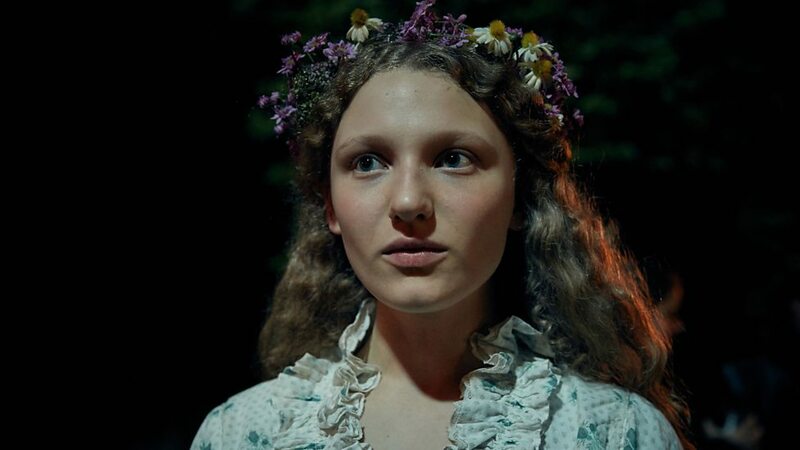 If these scenes are read through the pyramid of Victorian Spiritualism, psychology, and gender, the connecting theme of adolescent women’s resistance to nineteenth century oppression is made clear. The notion of the ‘hysterical’ nature of female psychology and the idea of adolescent girls’ vulnerability to spirit possession are concepts that a modern audience does not give credence to. Through the lens of retrospect, we can see that these notions are rooted in female anxiety about a male-dominated world and patriarchal apprehension of an unknowable female power beyond the passive Angel in the House ideal. Within The Living and the Dead, suspension of disbelief means that these notions can be combined within Harriet, the psychiatric patient whose strife is rooted in spirit possession. The fictional environment of the programme allows for these ideas of metanatural female power to be played out, and enables the young woman to begin to enact her paranormal abilities on her own terms. 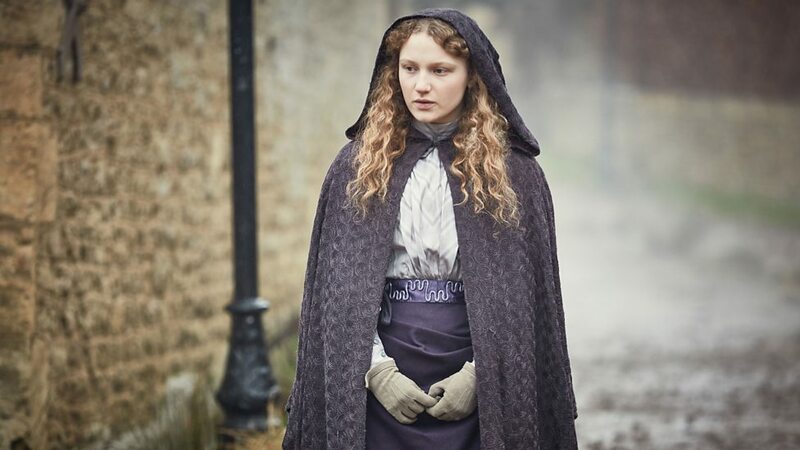 Although the programme’s depiction of how Harriet is treated demonstrates that Victorian women were often pathologised, deemed ‘unchristian’, and hypocritically capitalised upon (it could be argued that Harriet’s feminine ‘vulnerability’ to Spiritualism is utilised by Nathan as a conduit for his own desires), it also cannily implies that the disenfranchised are often those who hold all the cards. Kent, Deborah, Snake Pits, Talking Cures and Magic Bullets: A History of Mental Illness, (Twenty-First Century Books, Brookfield: 2003), 76. Showalter, Elaine, The Female Malady: Women, Madness, and English Culture, 1830-1980, (Pantheon Books, New York: 1985), 57. Roland, Paul, The Complete Book of Ghosts, (Grange Books, Kent: 2007), 31.